This place is magnificent and it’s right in our “back yard.” Hopefully soon it won’t be as “hidden” when the documentary is released. It’s also a wonderful place to fly – I wasn’t the only drone there this time. 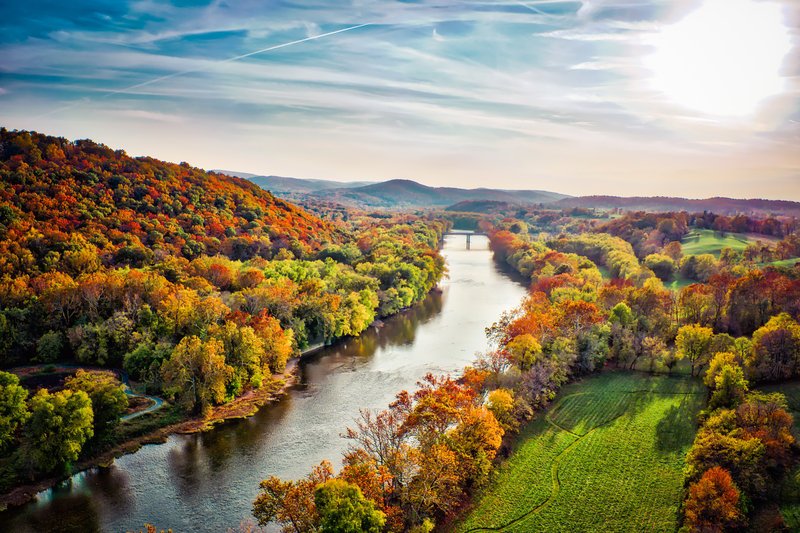 The Fall colors are peaking along the Shenandoah River at the Holy Cross Abbey. | Order a print of this image.